Flugtag Hong Kong 2014! Crash video from 2010! Flugtag Hong Kong 2014 + Crash video from 2010! Red Bull’s first Flugtag Hong Kong in 2010 was one of the city’s most successful events ever. Flugtag packed West Kowloon with over 30,000 spectators who watched the zany home-made aircraft take (often brief) flight before plummeting into the harbor. Of the numerous contestants, most didn’t fly as much as face-plant into the water. Surprisingly, a few actually caught some air, occasionally without their pilots! 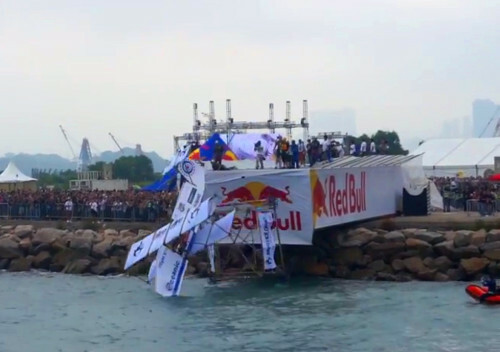 Have a look at our crash highlight video from Red Bull’s first Flugtag in Asia! 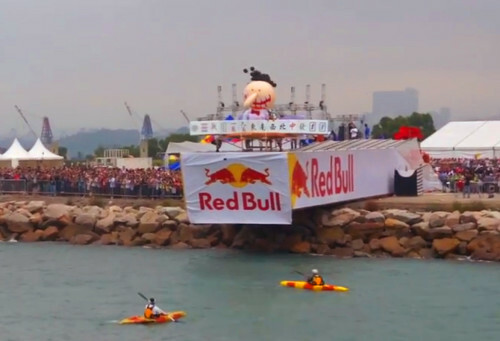 The deadline to apply for the next Hong Kong Flugtag is before February 24th. The event is scheduled to take place on Sunday, May 11th, in West Kowloon. The first Flugtag Hong Kong featured forty-two teams competing. The style and shape of the different flying machines was impressive! We witnessed everything from a weird mahjong themed plane to a replica of the tram crashing into the water. Regardless of how far they flew, the contestants exhibited an abundance of creativity in designing their “aircraft”. There are a few simple rules to Flugtag. Every team consists of one pilot and three ground crew members. The plane must measure within the dimensions of six meters length by six meters width by three meters in height and weigh less than one hundred kilograms. The entrants are judged according to three criteria: distance of flight, creativity, and pre-launch performance. Yes, before they fly, there’s actually a song and dance number to perform! Flugtag truly has something for everyone! To get the full details and download an application to enter, visit the Flugtag Hong Kong website. To have a better overall feel of the event, have a look at our full coverage of the first Flugtag Hong Kong that includes two more videos. 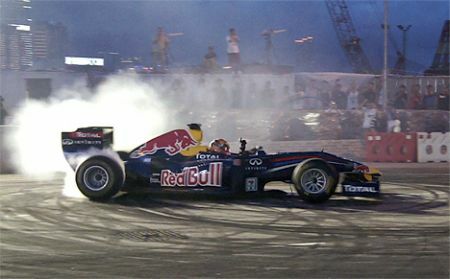 Video of Red Bull F1 car burning rubber! Previous articleTHE HUB Hong Kong Fashion trade show returns, Feb 25th!